Featuring iconic R&B music from the likes of Tina Turner, The Four Tops, and more, Hitzville: The Showsparks soulful swaying, grooving, and hip shimmying among cast members and audiences alike. 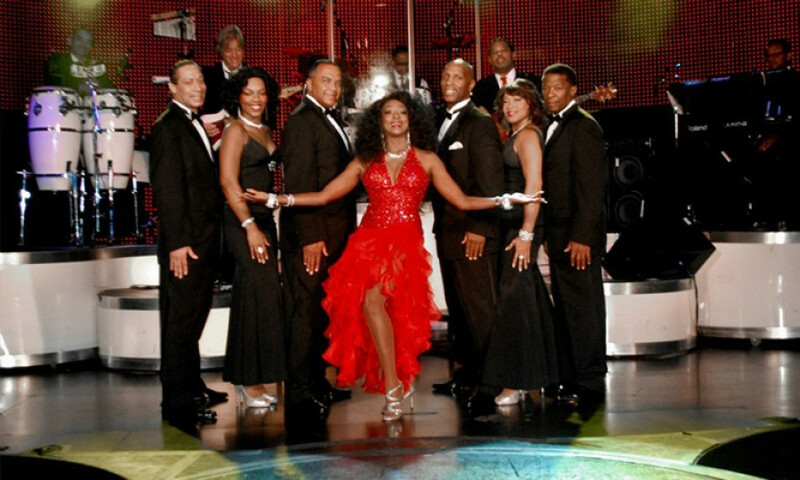 During the revue, an all-female trio, an all-male quartet, and the all-dulcet seven-piece Hitzville Band faithfully recreate some of Motown’s biggest hits. At the center of the show is star, producer, and BMA Entertainer of the Year Jin-Jin Reeves, who belts Gladys Knight and Diana Ross songs straight to the back of the 36,000-square-foot theater. All the while, glamorously dressed backup singers call and respond in harmony. The performance is family friendly, so attendees should feel free to bring children along for the ride. The V Theater irrigates thirsty audiences with a full bar and cocktail service (not included in this voucher), as well as an obliging team of ushers armed with Super Soakers.